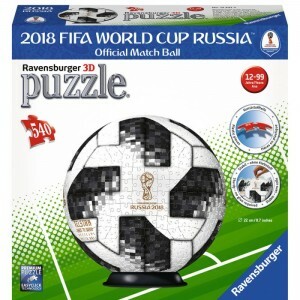 The 2018 World Cup Russia begins on Thursday 14 June when Russia face Saudia Arabia. We take a look at some of the official and unofficial merchandise, collectables and memorabilia available to collect and buy. 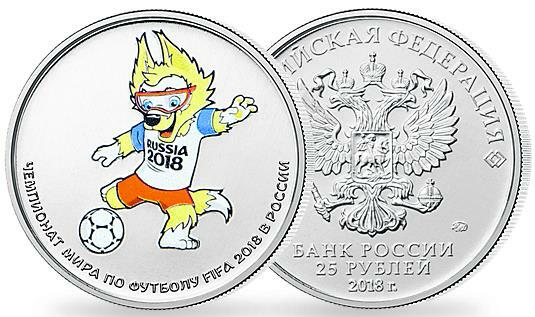 The official mascot for the Russia World Cup is Zabivaka™ which means “the one who scores” in Russian. 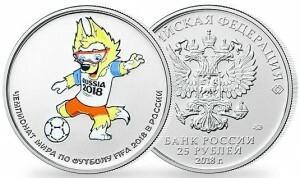 Zabivaka™ is a wolf and was chosen as the mascot by a vote in which over one million Russians took part. 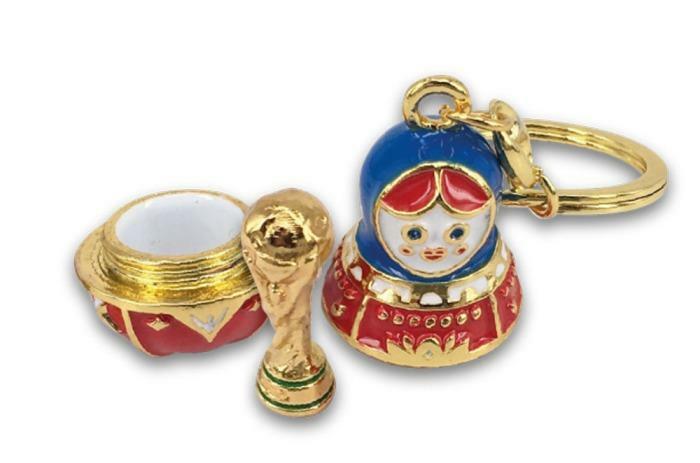 He certainly is a lovable character and he features significantly in the Russia World Cup merchandise and Russia World Cup collectables. 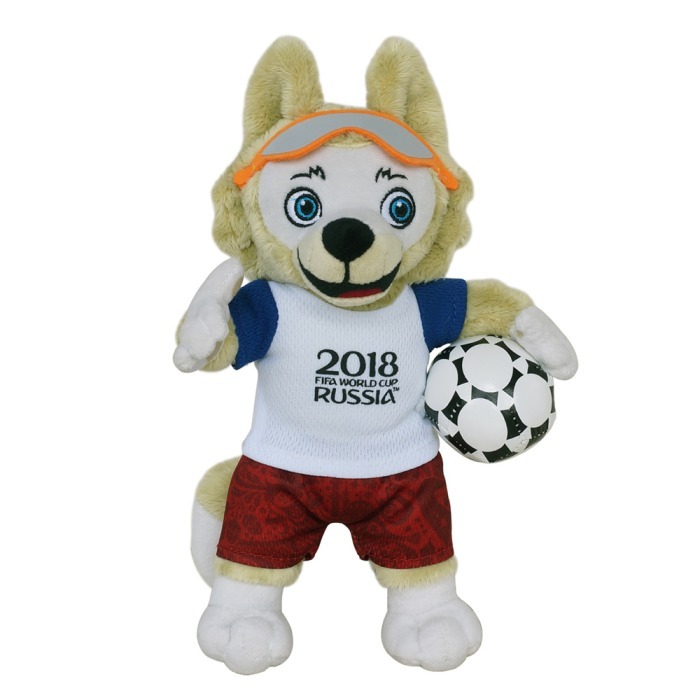 There are three versions of the 2018 FIFA World Cup Russia™ Plush Mascot Zabivaka™ – 45cm, 35cm and 25cm. 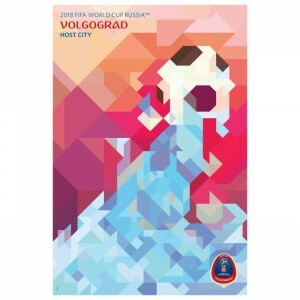 A series of 11 very colourful posters featuring the host cities: Moscow, Nizhny Novgorod, Saint Petersburg, Sohi, Rostov-on-Don, Kaliningrad, Ekaterinburg, Samara, Saransk, Volgograd and Kazan. 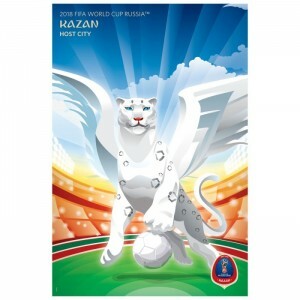 Our favourite is the Kazan poster – a selection of others are shown below. Two pin collection sets featuring the host cities and groups look great. You can view all these at the Official FFA site at http://www.fifa.com. 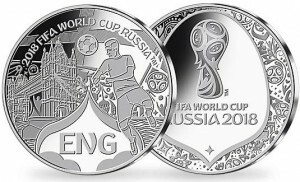 2018 FIFA World Cup Russia™ Mascot Colour 25 Ruble Coin – colored and plain, 2018 FIFA World Cup Russia™ 25 Ruble Official Emblem Coin, 2018 FIFA World Cup Russia™ Trophy 25 Ruble Coin, and 2018 FIFA World Cup Russia™ LAOLA Wave-Shaped 3oz Silver Coin Bar. For more details visit bnt.org.uk. 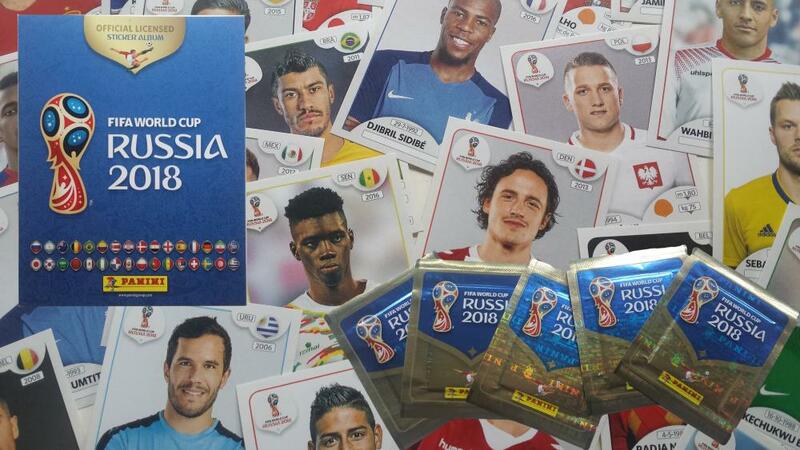 Football stickers form part of every recent World Cup and no collector should be without the album and at least a few packets. 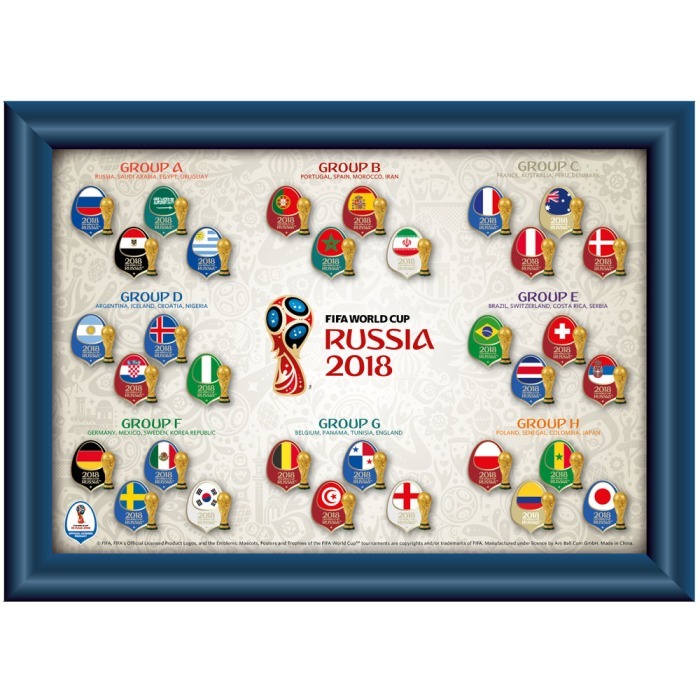 The official Panini 2018 FIFA World Cup Russia™ sticker collection features stickers dedicated to the 32 qualified federations with 18 players per team. 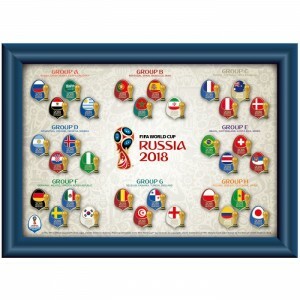 There is a section dedicated to the FIFA World Cup™ football Legends collects the FWC Multiple Winners of past editions and shows the History makers all gathered to recall past success and unique scores. 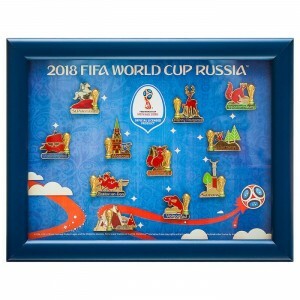 There are also holographic exclusive stickers dedicated to FIFA official marks, Federation badges and Legends imagery as well as stadia and venue images. There are scores of official licensees covering the whole world covering nearly every aspect of apparel, homewares, accessories, gifts etc. However, some of the companies that created exclusives for the Brazil 2014 World Cup such as Swarovski and Robert Harrop for example have not created products for Russia 2018.